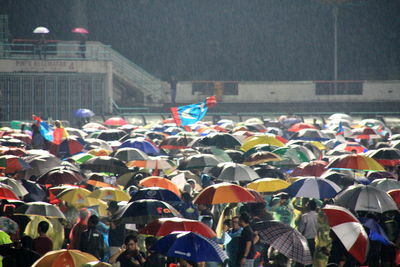 Umbrellas and flags in the rain at opposition rally. Thousands of protestors risked arrest to attend a rally to protest against what opposition leader, Anwar Ibrahim, has called “the worst electoral fraud” in Malaysia’s history. Local election watchdogs have also questioned the results of the election. The report said the election was carried out “on a very uneven field” citing: a pro-government media bias in mainstream media, lack of transparency in campaign spending, questions over the lack of trust in the integrity of the electoral roll, the impartiality of the Election Commission, exploitation of racial issues, and unreliable indelible ink. The United States and European Union also acknowledged concerns over electoral “irregularities,” according to AFP. Dressed in black protestors packed into Kelana Jaya stadium on the outskirts of the capital; cars left abandoned on the motorway. Waving flags, blowing vuvuzelas and rocking out to upbeat tunes the mood was more festive than fearful. Opposition leaders roused the crowds with statements like: “we will win the war”, “today we start the fight back” and “reformasi” (reform). Aman Shah Ahmad, 47, a construction work was helping his brother sell black t-shirts at the entrance to the stadium. “We have problems with authoritarian rule. Everything looks democratic but there’s lots of hanky-panky going on behind the scenes. I want the election result to be reviewed. We want a re-election. Please tell the world,” he said. Sharon Balon, 22, and her family were outside the stadium holding yellow flowers and anti government placards. Evoking the Peaceful Assembly Act 2012, the police said the rally was illegal because organisers did not apply for a police permit for the event. Organisers must also inform the police 10 days before an event. However, there was no visible police presence at the rally. Malaysian Prime Minister, Najib Razak, was returned to power Sunday, although with a reduced majority. The Barisan Nasional coalition has been in power since 1957. 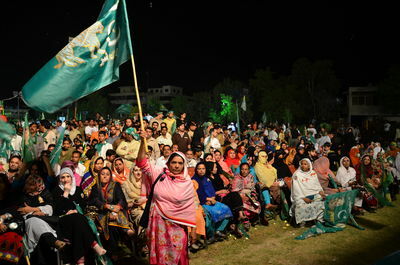 A woman supporter of PMLN waves a party flag at a rally held in Rawalpindi. 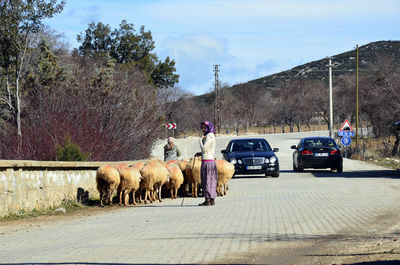 Shepherds move their herd to graze on the mountainside while dodging Mercedes, Hondas, Fords, Chevrolets, Audis and other various foreign cars. The Yörük, nomads of Anatolia and the Balkans, rely on animals as their livelihood. Due to the introduction of modern technology, education and government subsidies, some of the shepherds have become sedentary. For those that still migrate in the traditional way, they live in the lowlands during the winter and the mountains in the summer. For the modern families, they live in the villages or cities in the winter and have summer homes on the seaside. For the younger generations, there is struggle between keeping with tradition and evolving into modern life, which is threatening the culture of these historical nomads. Since the start of the Syrian clashes, a large number of Syrians have migrated to the city of Al Salmiya, which is located 30 kilometers to the west of the city of Hama. The city of Al Salmiya is considered the capital of the Ismaili sect and therefore is of large importance to Syria and the region. In the wake of the explosion that targeted the headquarters of the People’s Committee at the end of January and the initial wave of refugees coming from both Hama and Homs, the security in Al Salmiya was tightened. This resulted in further unrest, including the abuse of the refugee population and the destruction of their housing. 00 :02 If we want to discuss the process of displacement to Salameyah, we have to dissect it into two different segments. The first is prior to the bombing that occurred two months ago in the city. The other segment discusses what happened post bombing. 00 :17 The city is hosting approximately 50,000 to 60,000 refugees. As a result, from the influx of refugees, the economy has flourished. The shopkeepers have benefited in a noticeable manner, trade volume has increased, and stores that are in key markets witnessed better work. 00 :35 The first major influx of refugees arrived in Al Salamiyah from Hama. Entire families moved to the area, most of them being women and children. The offensive on Homs brought another wave of refugees to Al Salamiyah larger than that, that came from Hama. After which, the bombing of the People's Committee occurred. 00 :51 The People’s Committee increased it security measures after the bomb detonation. Al Salamiya locals started going to the houses of the refugees, especially to tenants, and beat up some of the masses. They tortured the men and threatened their women and children. They claimed they want to beat and kill them. Furthermore, they shredded their rent contracts so that they no longer have alibis to stay, resulting in the refugees leaving the city of Al Salameyah due to fear and intimidation. 01 :17 The site of the bombings are these residential buildings and the headquarters of the people’s committee that was bombed. Also, this is the house of the head of the area. 01 :42 It was obvious that the refugees were kicked out due to, both, a security and military decision from the government. The tool to execute it was by the use of the thugs i.e the people’s committee. How ? By pressuring them, by attacking their homes and harassing them on the streets. 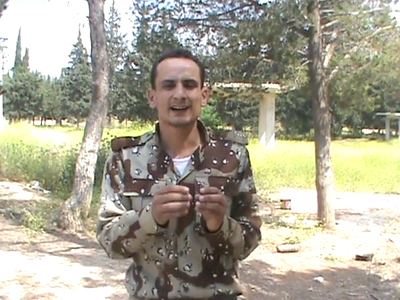 They would take someones identification card and ask him, "you are from Homs. Whats brings you here?" 02 :00 My siblings were in Al Salamiya, so I moved to the area. 02 : 12 In regards to the bombing that happened here in Al Salamiya, it instilled fear in people. We started hearing people say that they are going to kick us out and to be careful. As a result of that, we did not dare to go out even if we were short on bread. We were afraid to go out and buy bread. 02 :31 These are my kids, and there are my brother's children and the children of my other brother. We guided them to start working. 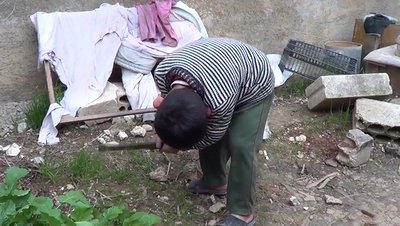 My son who is in sixth grade is working for 100 Syrian pounds in order to finance himself. 02 :46 The refugees have nothing to do with this. We are sheltering women and children, they believed that we are sheltering the women and children of the men that are fighting outside. 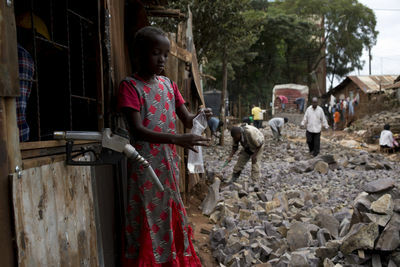 A girl buy paraffin from a shop on the edge of the road as a road expansion project is widening a road in Kibera, one of the largest slum's in Africa, 3 May 2013 .The work forms part of a bypass road that will run around and through the slum of Kibera and will benefit residents by bringing more business to the area. Egyptian Prime Minister Hesham Qandil survived an attack on his convoy by a group of armed men late Sunday evening, in an incident that led to one death. A vehicle intervened in the prime minister's convoy and when the security guards tried to push it away, one of its passengers opened fire on the security vehicle. 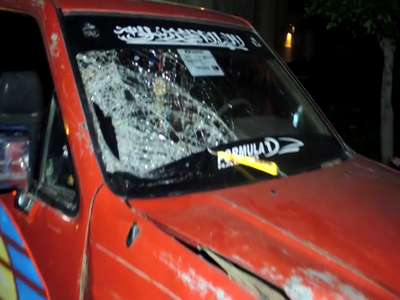 While running away, the vehicle hit a policeman and a citizen but the police managed to bust the vehicle and arrest the five attackers after a pursuit. Taha Hassan, a street vendor who was passing near the site of the incident, was hit by the vehicle during the incident, and transferred to 6 October Hospital in Dokki where he died. The interior ministry statement revealed that the armed men were on their way for a fight with some people in another area. Meanwhile, the Egyptian cabinet said that the armed attack was not politically motivated but this was a criminal incident. The prosecution decided to detain the defendants for four days pending investigations. Katagman refers to the ancient settlers of Western Panay. This settler has unique burial ritual in which they placed a gold nose-disc and gold eye-mask to their dead people to protect the eyes and nose of their diseased loved ones from evil spirits. This ancient ritual is influenced by Chinese in which the natives have trade relationship with them before the Spaniards conquered the Philippines. Oton was once a center of trade route in Panay Islands. Prosperity brought about a flourishing community, and so many examples of the early Chinese wares were obtained from the area that it is necessary to explain shortly that Chinese settlers in the area practiced ancient Chinese customs even in the disposal of the remains of their dead. The town became home to several burial rites where gold artifacts, porcelain and carnelian beads where among the rare items recovered. When the Spanish conquered the Philippines, Oton was established in 1572 by the Augustinian Friars and became the center of Spanish administration in Iloilo. Once known as Ogtong or reef or tidal flat which is the main feature of the area, Oton was a missionary base for the conversion of the entire region. This led to the Christianization of the native Katagmans. 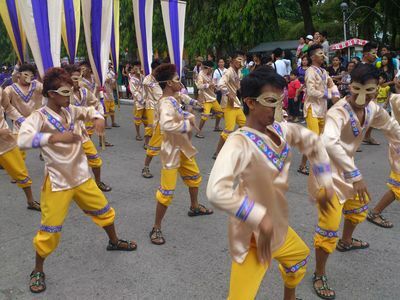 During the Katagman Festival, a street dancing competition, painting competition and dance theater competition is highlighted showcasing the rich historical past of Oton. After the use of heavy weaponry by regime forces in Syria, the rebels have decided to unify several militant factions under the "Thowar Al Khanadeq" banner - the rebels of the trenches. 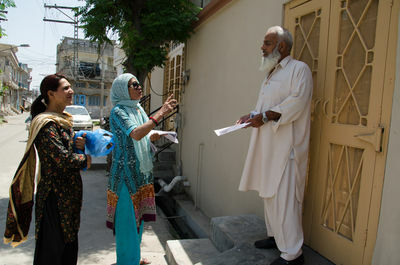 Transgender election candidate Lubna and her assistant asking for votes in a door to door campaign. Lubna says she has not encountered any abuse or threats from anyone from the city.